The lips are one of the most important features of the face. When we are talking to someone, we not only notice their lips, but unconsciously or subconsciously evaluate them. Fullness of the lips are a sign of sensuality and youth. As we age, we begin to create less collagen, which is needed to create the plumpness in our lips we desire. Thankfully, we now have options to enhance, and obtain our youthful looking lips again! There are several options to create soft, natural-appearing lips with Hyaluronic Acid Gels (a substance naturally present in our bodies) – My preferred in office product choices are RestylaneⓇ and JuvedermⓇ which produce beautiful enhanced lips. The key point is, natural lips! 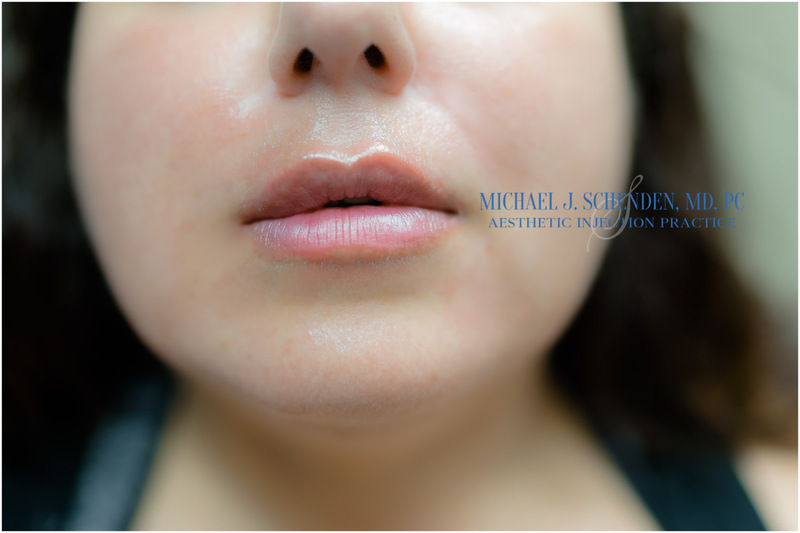 There are various, non-invasive, proportioned steps that we follow to ensure the upper and lower lips look organically enhanced. 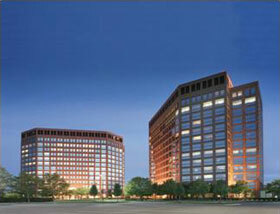 You won’t have to worry about leaving our office with ‘duck’ or ‘sausage lips’. To give you a better visual; In general, the upper lip should be ⅓ of the size while the lower lip should be ⅔ of the total size of both lips. A curve and “natural pout” can be created to lift and bring out the border of the lips within the skin. We associate plump lips with that of a younger person. Think of someone you know who has very hydrated & plumps lips. It is most likely a super cute baby or a friend who has received lip fillers (let’s be honest). Now, we obviously aren’t trying to give you an infant’s pout, but would like you to feel youthful in that area again & lip fillers can easily help you achieve that. Little downtime, non-invasive, and it can all be done in around 10-15 minutes. Lip fillers are somewhat of an art, because not one set of lips are the same. Nor is the look someone is trying to achieve. Generally speaking though, it is a very quick to administer. Following treatment, swelling & possible bruising can be expected. The positive is that you can return to work, and resume your regular daily routine. Hyaluronic Acid is in 90% of all dermal fillers that most reputable doctors & injectors use, such as our office. This can leave you feeling rest assured that this is safe material that our bodies form naturally. In other words, having an allergic reaction is something that rarely happens after the hyaluronic acid filler has been injected. Sometimes this is the best news to patients. The filler will dissolve naturally in the body over a period of 6-8 months. This means that you can switch up your treatment when you return. You can choose to use less or more product or discuss another injection technique with your injector, depending on the overall look you desire. Another great fact is that most Hyaluronic Acid fillers are reversible. This is done by using a substance called hyaluronidase. Even though it is a very rare occurrence that a patient wishes to reverse this procedure, it’s still reassuring to know it can be done. For those men and women who are looking for a way to restore their fresh, plump, youthful face without going under the “knife” – facial fillers like Juvederm are an excellent option. Whether the patient is seeking fuller lips and cheeks or a more defined chin, aesthetic enhancements like Juvederm make it entirely possible. Juvederm is the smooth gel filler that is used to instantly smooth away wrinkles around your mouth and nose by adding volume to the hollowed areas. 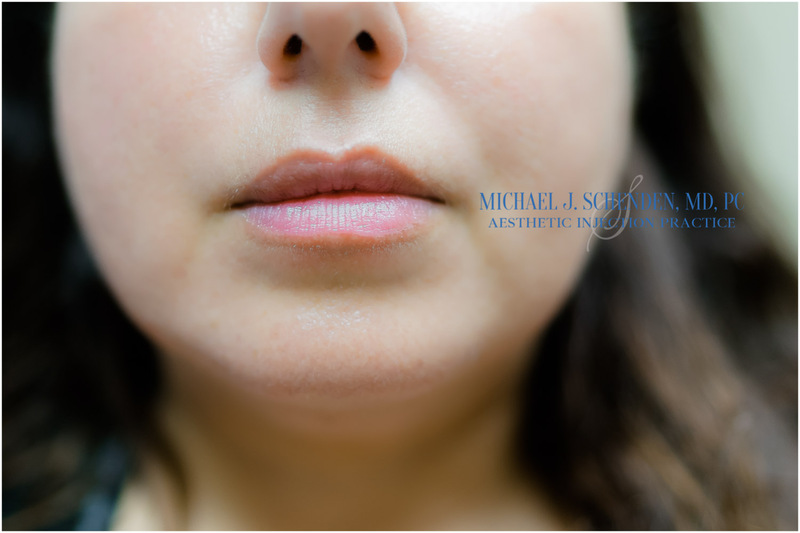 Commonly injected areas are the nasolabial folds (vertical lines from the nose to the corner of the mouth), marionette lines (vertical lines from the corners of the mouth to the chin) and vertical lip lines (facial wrinkles around the lips). With just one treatment, it is possible to get smooth and natural-looking results that can last up to a year. The fact that Juvederm is so fast to administer and can be done in a regular in office visit, makes it even more desirable to my patients who are looking for a non-invasive way to restore their youth. And, the fact that the results last for up to a year is an additional bonus! Everyone will notice but no one will know. Contact 248-524-0620 for more information on Juvederm and facial fillers or to schedule a private consultation. Beauty Sleep, not a myth! Botox and Filler, learn how they are different. ALMI the all natural alternative to aesthetic fillers. Radiesse, an Alternative filler with natural looking results. Joy Butler on Men, interested in Botox? Social Media on What do I do for my aging skin?